As consumers, people have become accustomed to how their food looks and tastes. They expect the electrifying green color of Mountain Dew and the rainbow of shades in Trix cereal. However, many of these colors are about to change. To follow consumers' desire for "natural" products, food manufacturers have pledged to remove artificial coloring from their offerings, which may leave parts of the supply chain struggling. 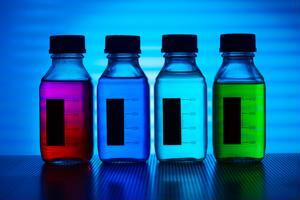 What is the problem with color additives? Striving to make their products more natural has proven to be a process for manufacturers. According to Wired magazine, there is no set definition for the term "natural" in regard to consumer-packaged goods, which can raise confusion. What may mean non-genetically modified organisms to some people could imply no chemicals to others. Even the U.S. Food and Drug Administration has been unable to properly define the term, and generally accepts foods that have no color additives, artificial flavoring or man-made substances as being worthy of the "natural" label. Recently, many companies have adopted no artificial color as their definition of the term, and are attempting to dye their products with only naturally existing materials, much to the happiness of certain consumers and organizations. It is believed that certain color additives present a number of health issues for people who consume them, the Center for Science in the Public Interest reported. The FDA allows nine artificial colors to be used for food products - seven in food and two for casings. However, the CSPI found that many of these cause tumors, hyperactivity and hypersensitivity. While the FDA has not discovered a correlation between the dyes and health concerns, the organization is conducting further research because of the high amounts of additives people consume, according to a poster presentation from the agency. How are manufacturers adhering to the desire for natural food? Despite not having full evidence of color additives' health effects, food companies are working to remove the dyes from their products. The Scientific American reported that Kraft has pledged to remove yellow dyes from its macaroni and cheese by January 2016, and Medical Daily said Nestle will eliminate artificial coloring from its chocolate by the end of the year. However, keeping these products looking the same has proven to be an issue for food manufacturers, according to The Associated Press. Natural materials do not have the same dyeing capabilities as man-made additives, which means consumers may find their favorite foods have different appearances. Greens and blues have not been easy to replicate, and natural dyes for these colors have only been available since 2013. Because of this, General Mills' Trix cereal will appear without its blue and green pieces when the new version of the product is released later this year. Dyes made from fruits, vegetables and spices may not be able to provide the same vivid colors that people have grown used to, but they will eliminate the potential for health concerns. However, they have caused problems to arise along the supply chain, The Associated Press explained. With natural dyes, purchasing and production costs increase. These materials also aren't as sustainable as their artificial counterparts. Fruits and vegetables can easily rot if not used within a certain time period, which adds more expenses for food manufacturers. These muted colors could also turn off some customers, as foods might not look as appealing as they once did. Companies will need to experiment with their formulas and dyeing methods to ensure they get the best and healthiest colors possible. That is great news! We always buy foods without artificial colors because our family is sensitive to the dyes. There are too many products that advertise fruit in their products while using artificial colors to reduce amount of fruit actually in the product and make it appear eye appealing. I would rather have healthy food than the appearance of healthy food.